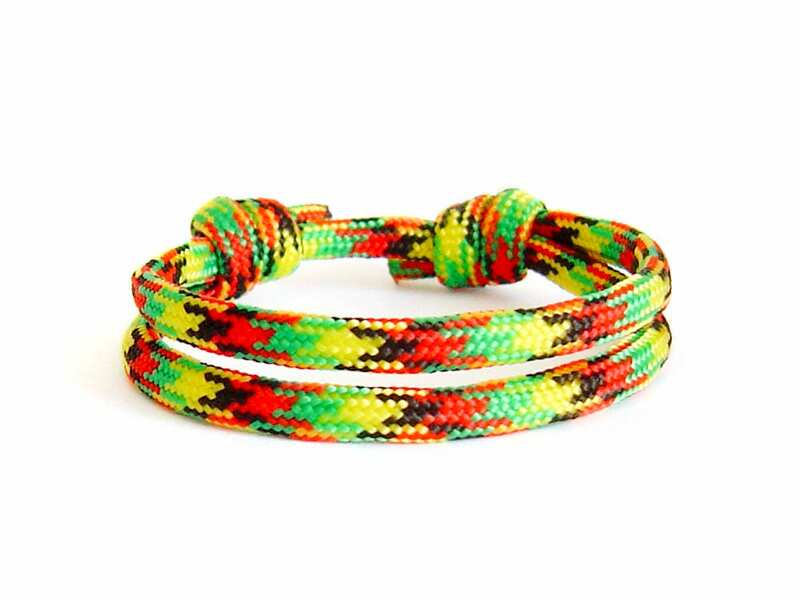 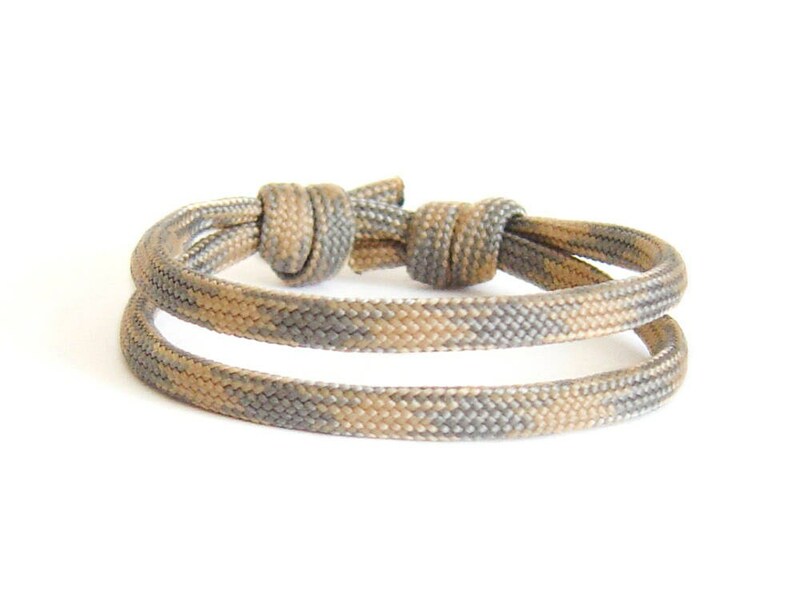 This paracord bracelet will make happy everyone, that loves mens rope bracelets. 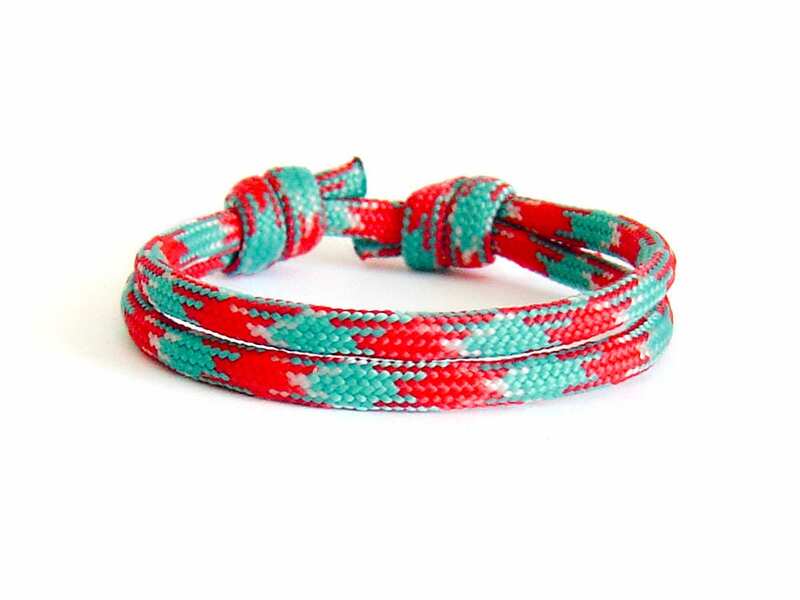 The most famous in our men jewerly collection this paracord survival bracelet is useful, comfortable to be worn, trendy and fashionable. 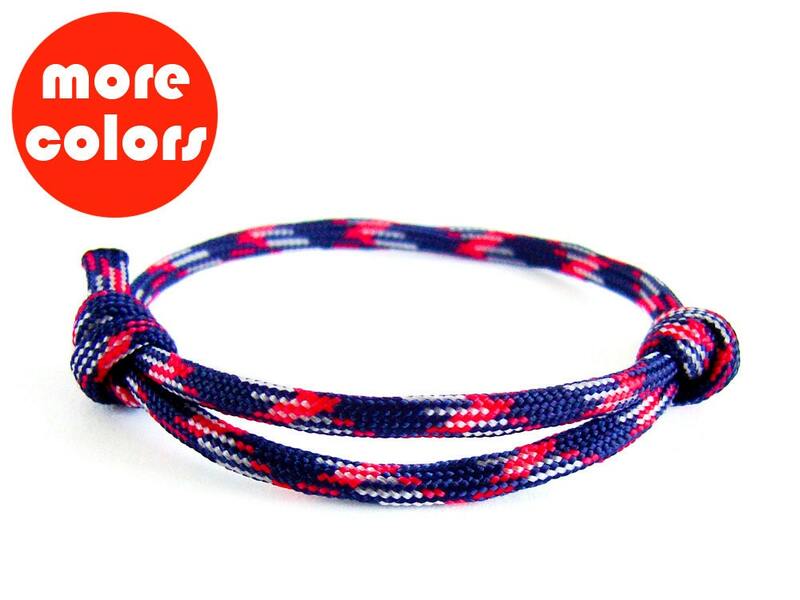 We knotted the bracelet of 550 paracord rope 4 colors. 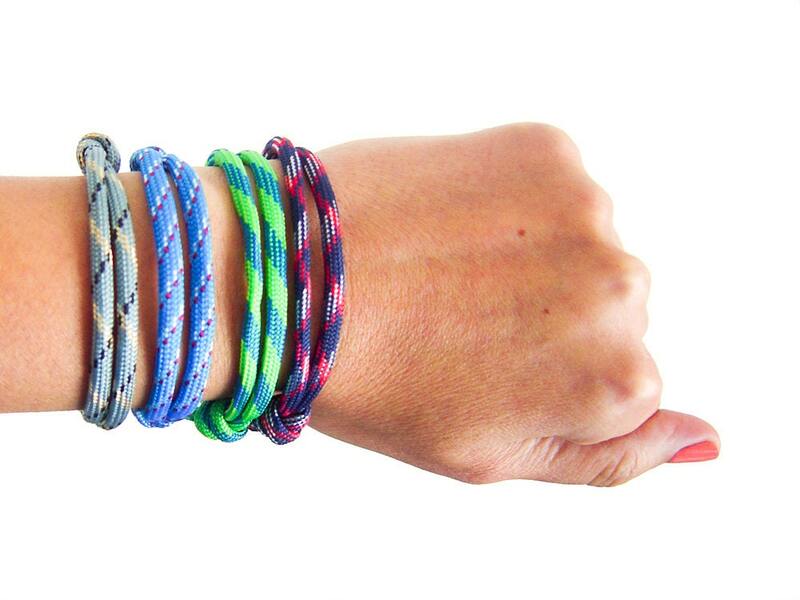 And most important - one size fits all. 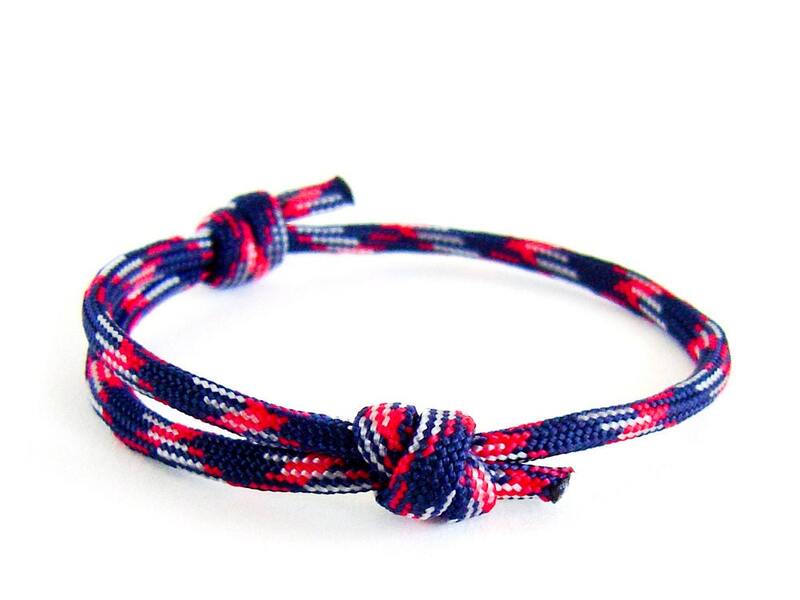 It is unisex bracelet, because you can adjust its diameter when you slide the knots. 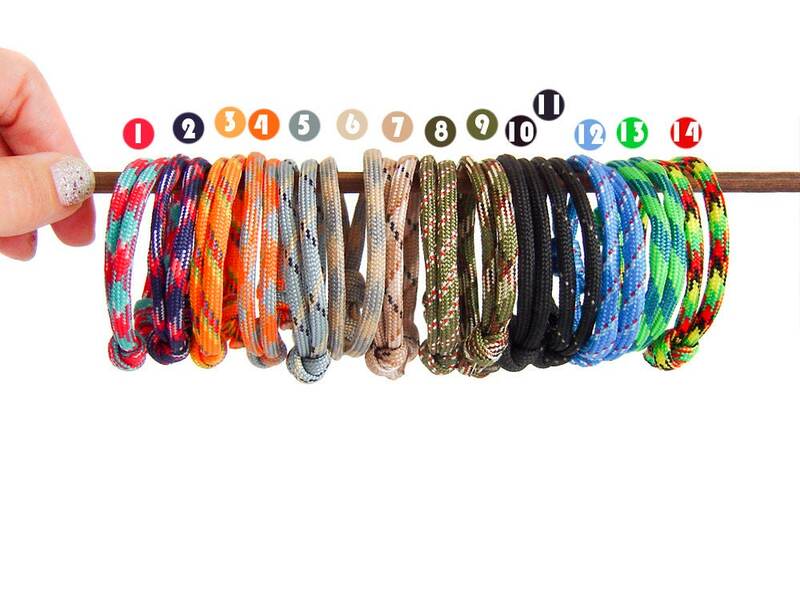 You can choose among all the cord colors from the second picture. 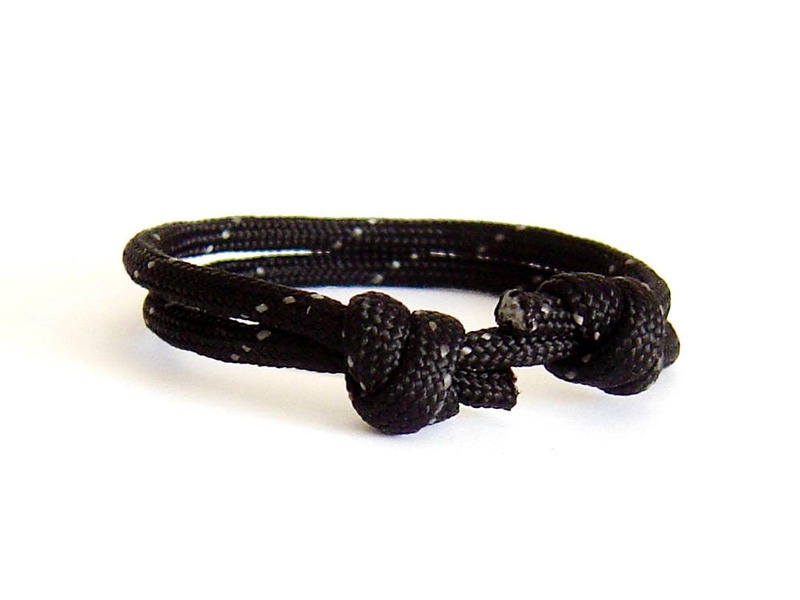 The diameter of woven paracord rope is 4 mm (3/16"). 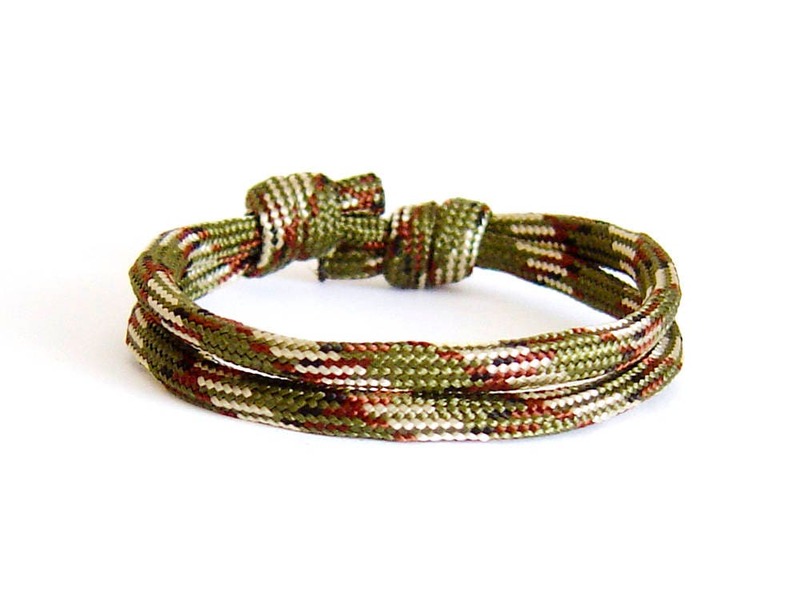 The paracord survival bracelet can be adjusted from 13 cm (5 1/8"), to 25 cm (9 13/16"). 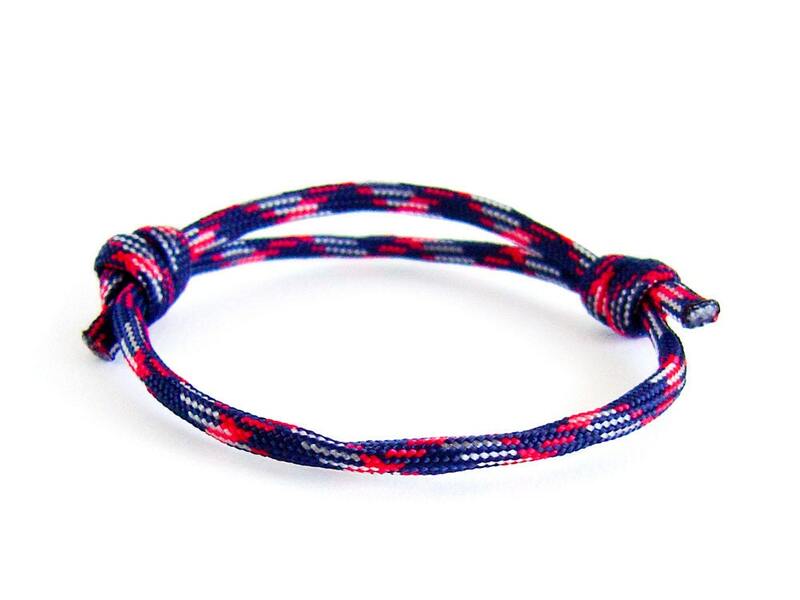 If you order, you will get the paracord bracelet from the pictures.